Have you found an online vendor selling Plantation TRINIDAD White Pineau des Charentes Cask Maturation 2009 ? I haven't had many rums like this one. Very oaky, nice bite, and good spices. Slight burn at the end. I enjoy this as a sipper. 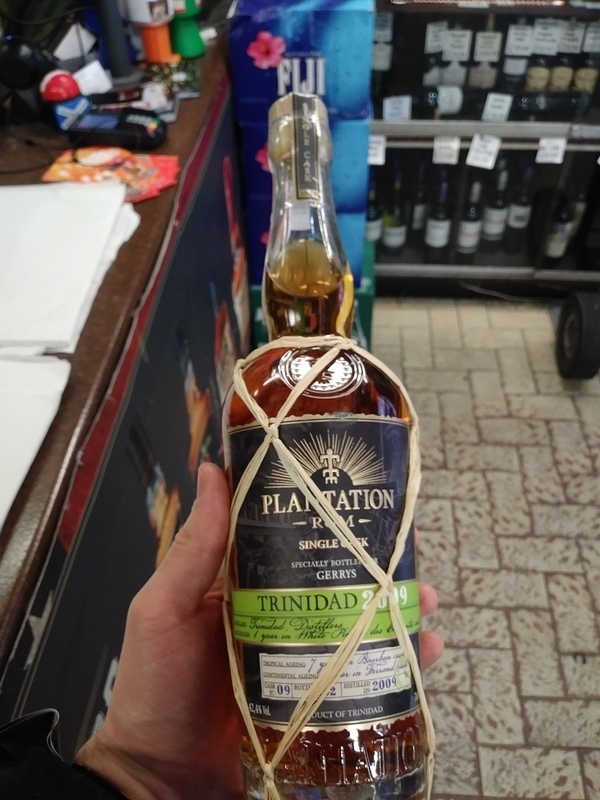 Bought a bottle of Plantation Trinidad 2009 special edition made for Gerry's Wine and Liquor in London's Soho. Bottle and label design is typical high class Plantation style. Light amber color indicating very little added sugar. Strong red wine to the nose. Surprisingly dry to the palate with a tannin explosion in your mouth. Very smooth at the end. Red wine lovers can add 3 points to the score. Delicious rum from Trinidad which, like a lot world-travellers, spent some time in France. Unlike other globe-trotters, who probably spent their time in France looking at pretty pictures in the Louvre, this single cask rum spent it being finished in White Pineau des Charentes Cask.